How closely have you followed Middlesbrough's start to the Championship season? Take our quiz now! How closely have you followed Middlesbrough's start to the season? Middlesbrough have made a terrific start to their Championship season - but just how closely have you followed their start? 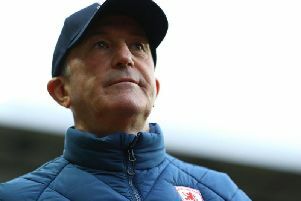 Tony Pulis' side sit just one point behind Leeds United at the top of the table and have only one defeat to their name so far. Now, it's time to see how much you know about Boro's start to the season by answering 10 questions below. Do it, tell us your results then share it with your mates!